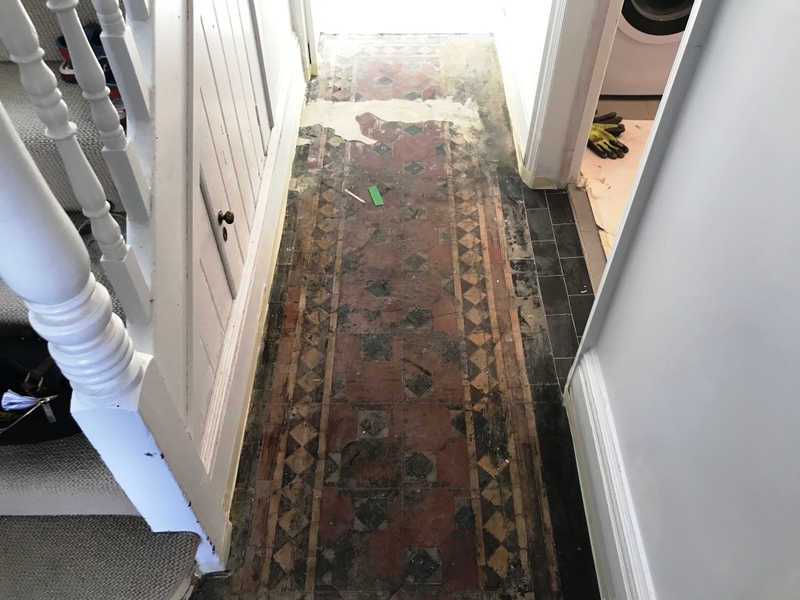 Details below of a floor I recently worked on where my client had removed the linoleum that covered the hallway floor and discovered an original Victorian Tiled floor buried underneath bitumen which had been used an adhesive, there was also some leveling screed that would need removing. The house was situated in Caversham Reading, Berkshire which lies on the north bank of the River Thames, opposite the rest of Reading. 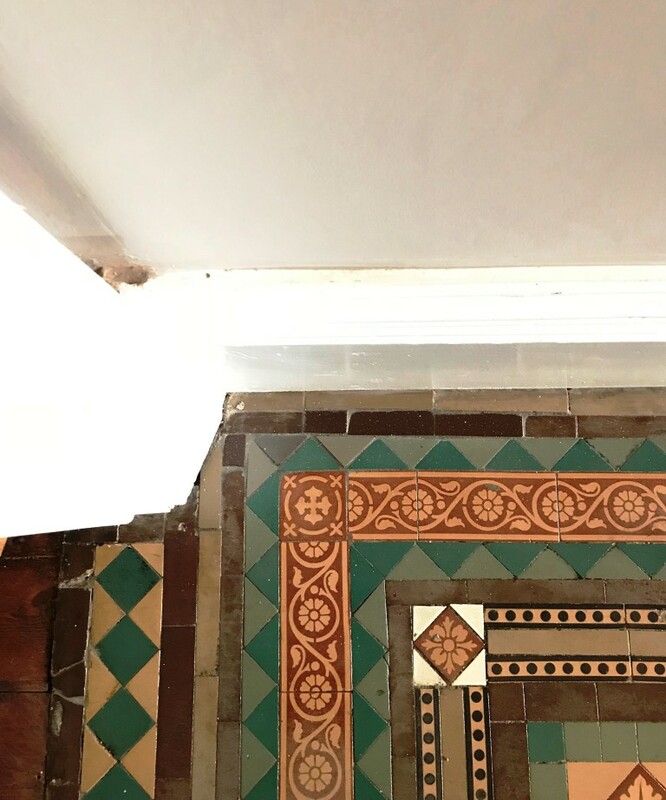 She had been renovating the whole house when she came across it and realising the value an original feature like this could add to the property was keen to restore it. Having tried several methods to remove the bitumen herself she realised it was too difficult and messy to do and decided to call in some help. 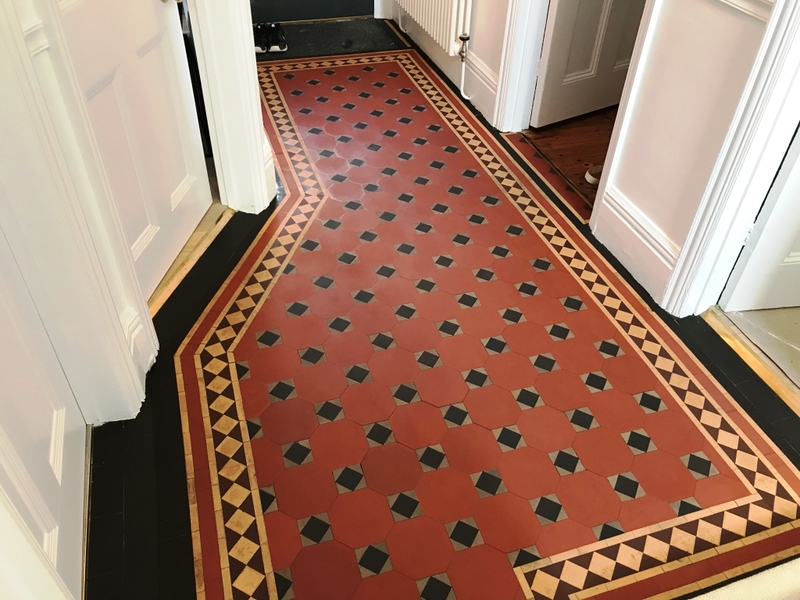 Tile Doctor have successfully restored bitumen covered Victorian floors before and being their local agent, I was asked to look at the floor. 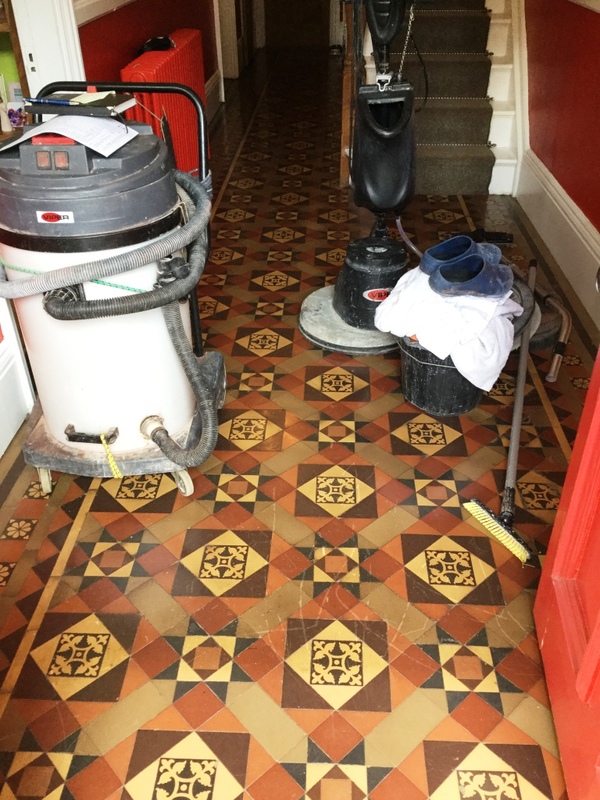 I went round to take a look and ran a number of tests primarily to demonstrate it could be done and also, so I could work out the best method to clean the floor and therefore provide the customer with an accurate quote. 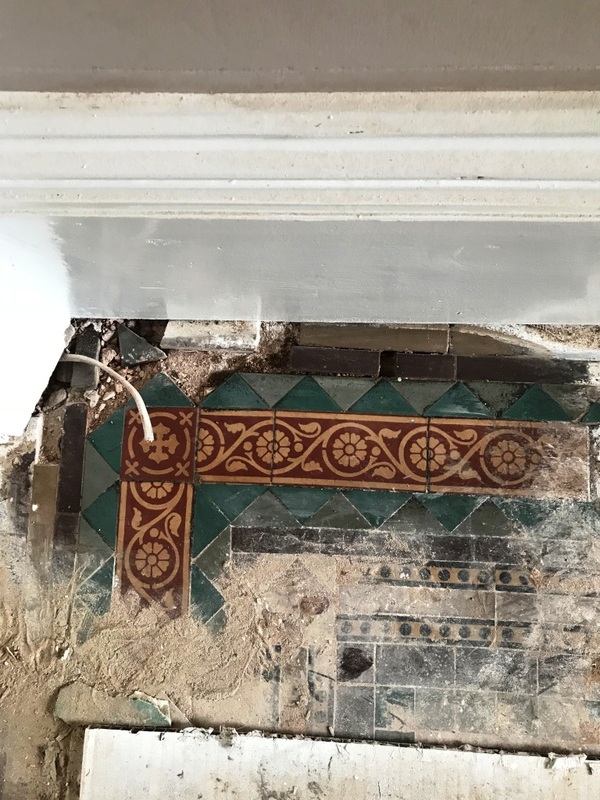 Victorian tiles are very durable and having worked on similar floors before I was confident the tiles could be restored to a satisfactory state and be returned to its former glory. We discussed the process and a price and then scheduled the work to be done. 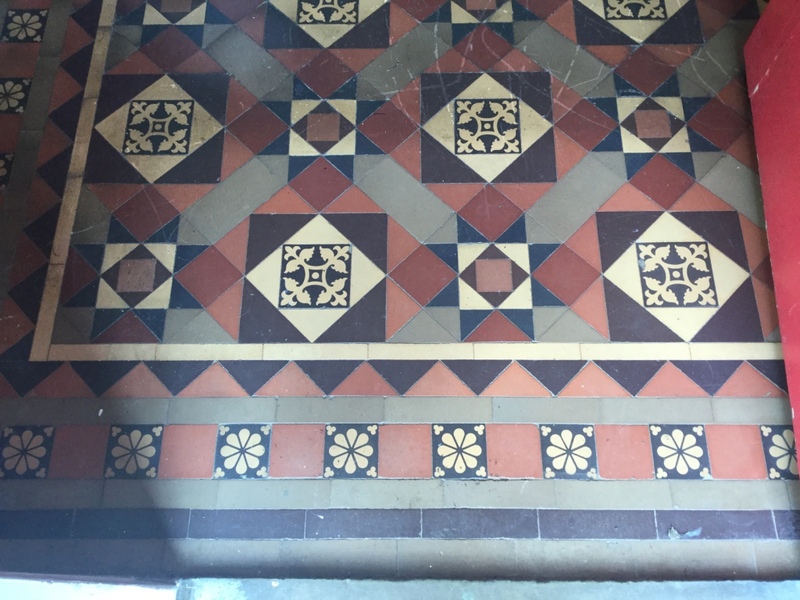 The first job was to apply protective tape around surrounding area to protect the wooden skirting etc. from splashing. 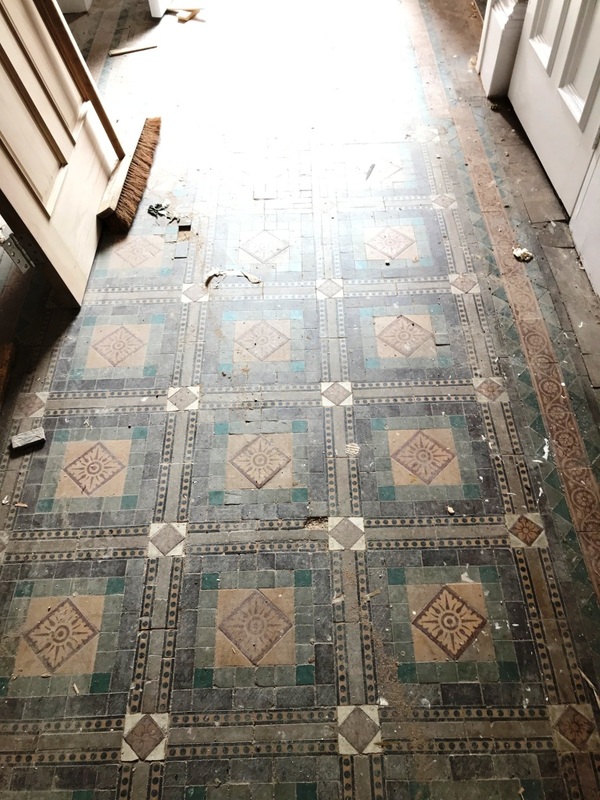 Then I took a scraper and mallet to carefully chip away at the screed parts of the floor and remove it to expose the tiles underneath. Once this was done I could start with the more difficult task of dealing with the thick build-up of bitumen. Bitumen is a horrible sticky black substance that required a fair bit of time and different methods to remove. 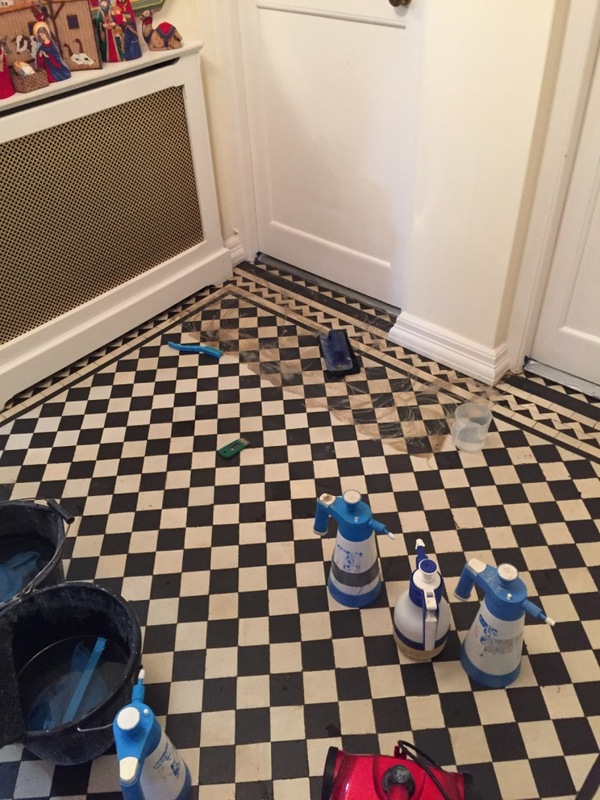 My first method was to apply a strong dilution of Tile Doctor Remove and Go, leaving it to dwell and work on breaking down the bitumen before scrubbing it in. 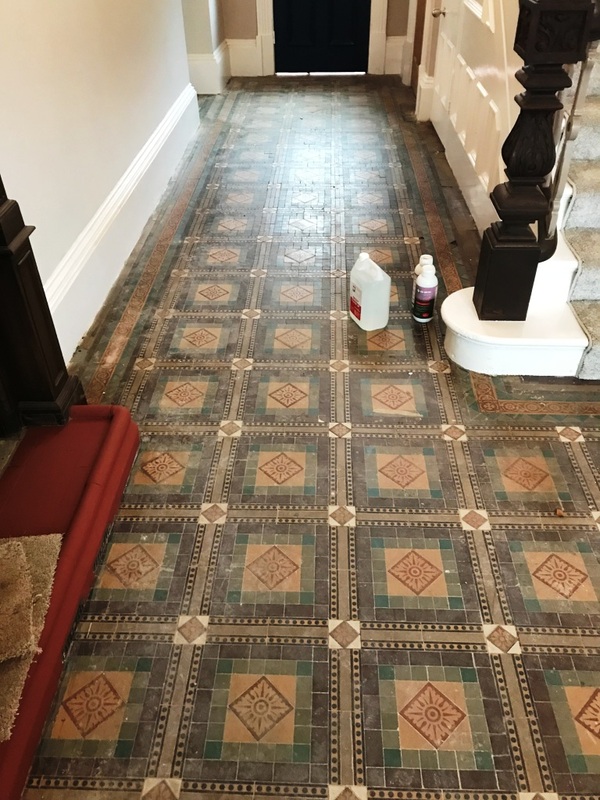 This product is particularly good at breaking down old sealers and paint and although it made an impact I could see that I would need something with a bit more punch to finish the job, so I decided to try Tile Doctor Nanotech HBU remover. 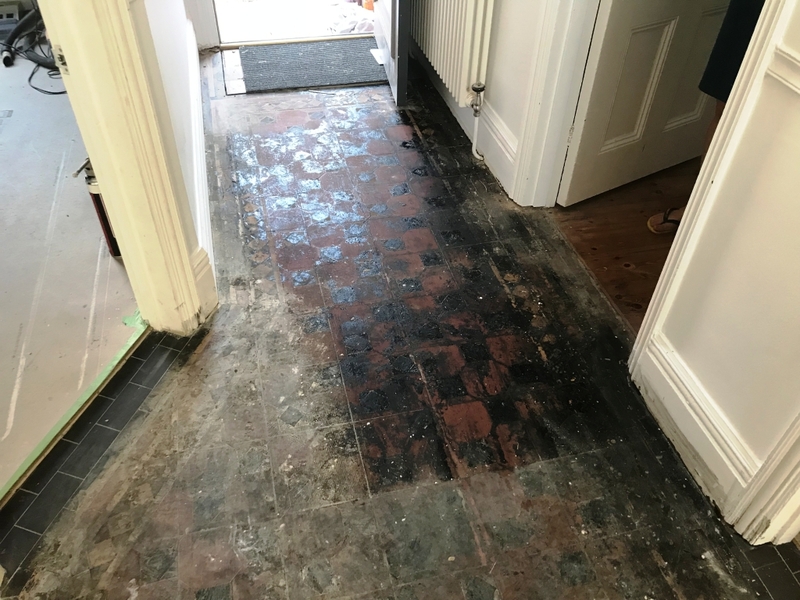 The Nanotech HBU (Heavy Build Up) Remover was generously applied in small sections adding more as the product began to dry. 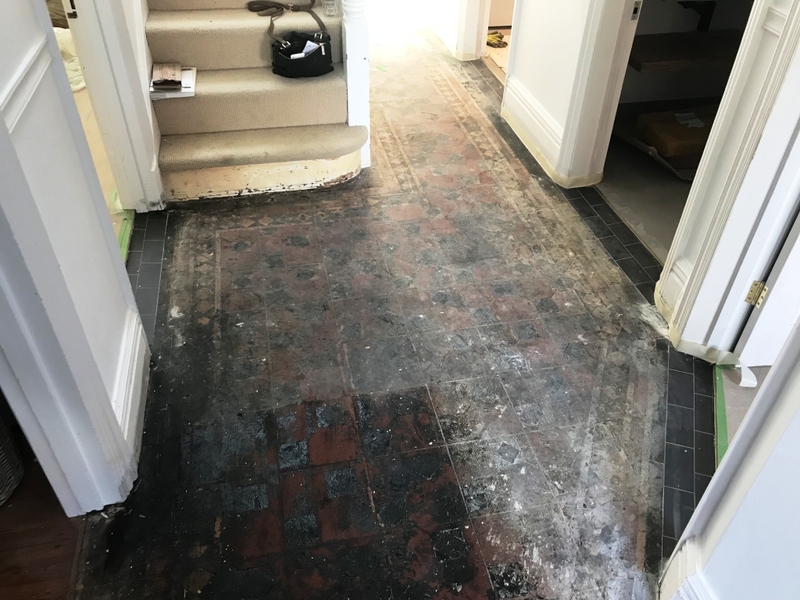 After about twenty minutes I could see the HBU had weakened the bitumen making it soft enough that it could be worked off the tile using a black scrubbing pad fitted to a rotary machine running at slow speed. With the bitumen now turned to a messy slurry I removed the substance with a wet vacuum. 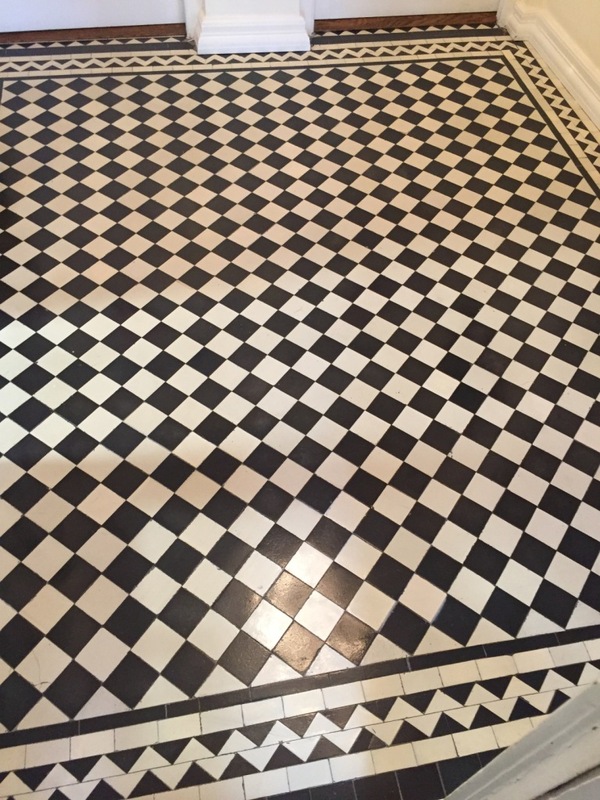 I then gave the floor a thorough rinse using a hot water extraction machine operating at low pressure that runs from a compressor in my van. 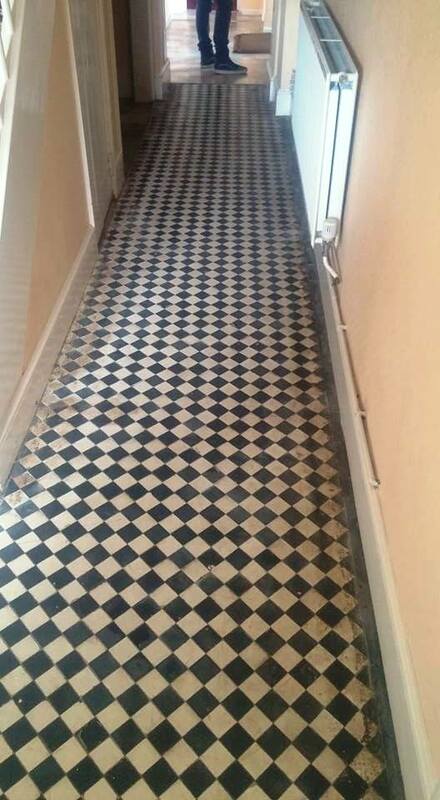 This machine was an expensive investment however it makes light work of rinsing floors. 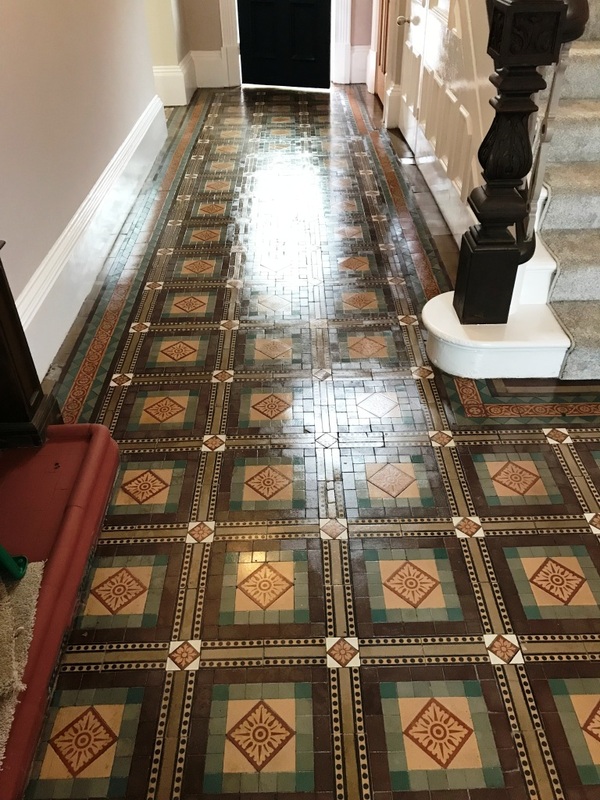 The tiles looked great after the initial rinse, but I could see the black dye from the bitumen had bled into the surface of the tile. 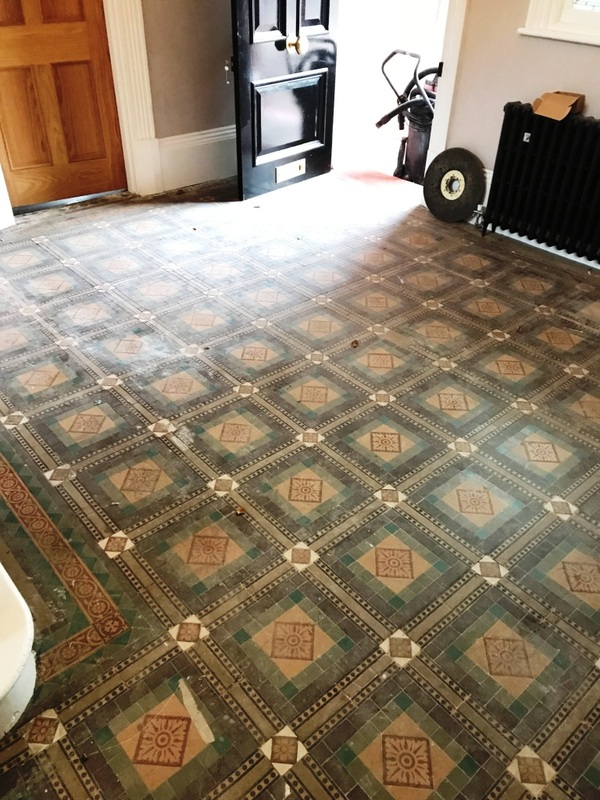 However, us Tile Doctors are well trained and have a solution for every problem and I was able to remove these spots using a 100-grit followed by a 200-grit milling pad fitted to the rotary machine. 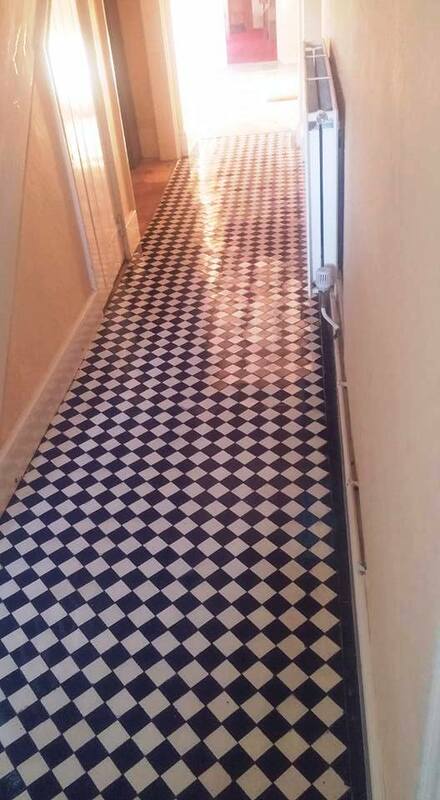 After yet another rinse the tiles were looking fantastic and I left the floor to dry out. 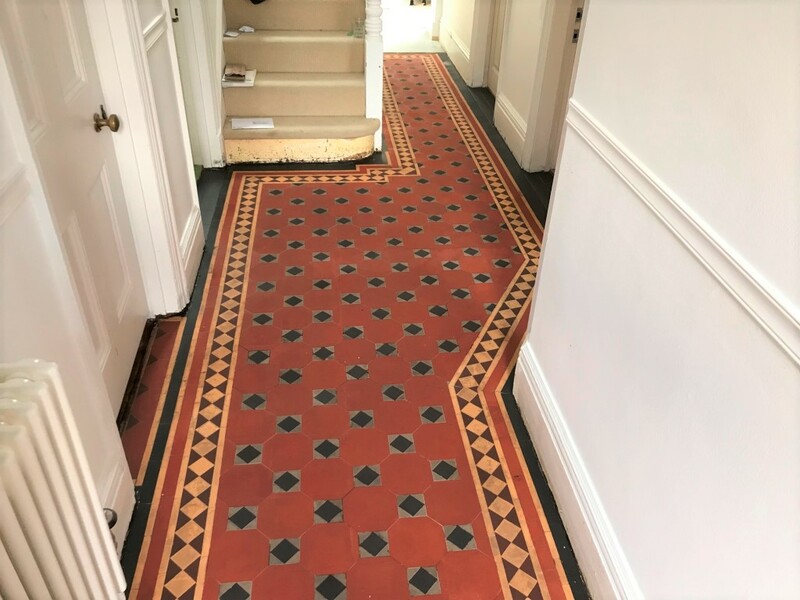 Originally the plan was to return five days later to seal but with other works going on in the house and the hallway being in constant use I decided to wait until that had completed requesting that the floor was covered up in order to protect it. 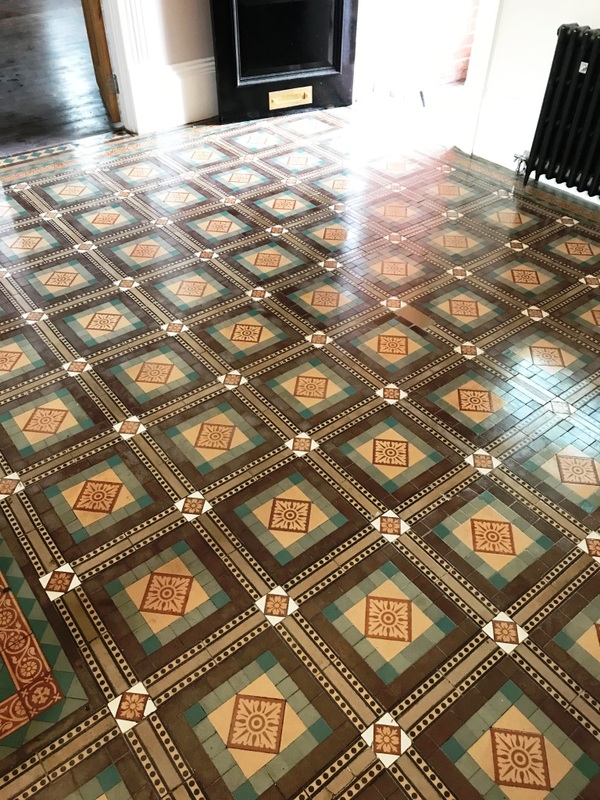 Two weeks later I returned to the house and gave the floor a quick inspection to make sure all was well before sealing. 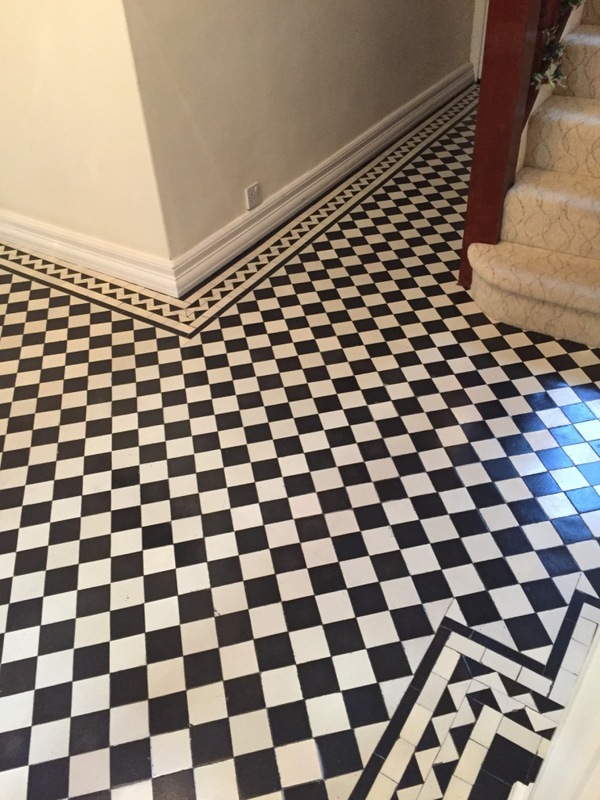 All was well, the floor just need a quick vacuum to remove dust and was able to proceed with the sealing. 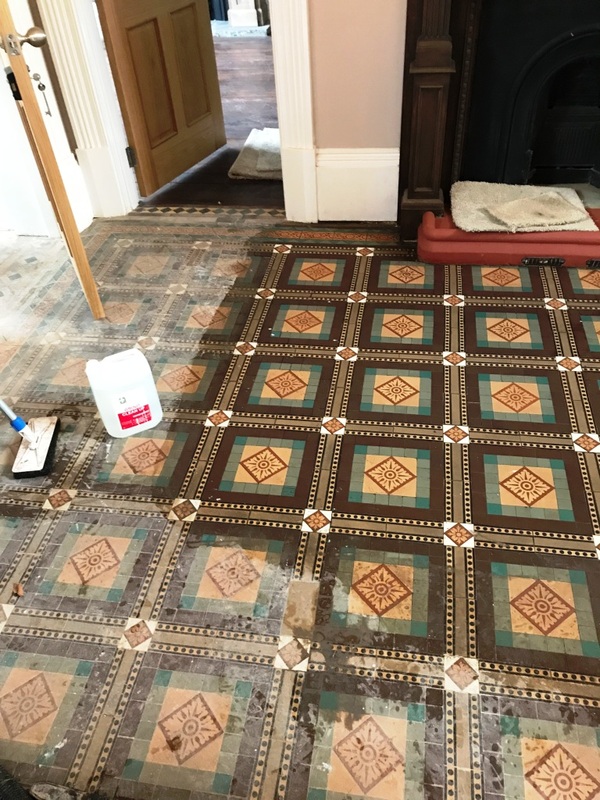 The customer wanted a matt finish, so I opted to use Tile Doctor Colour Grow, a colour intensive impregnating sealer that works by occupying the pores in the tile preventing dirt from becoming ingrained there. 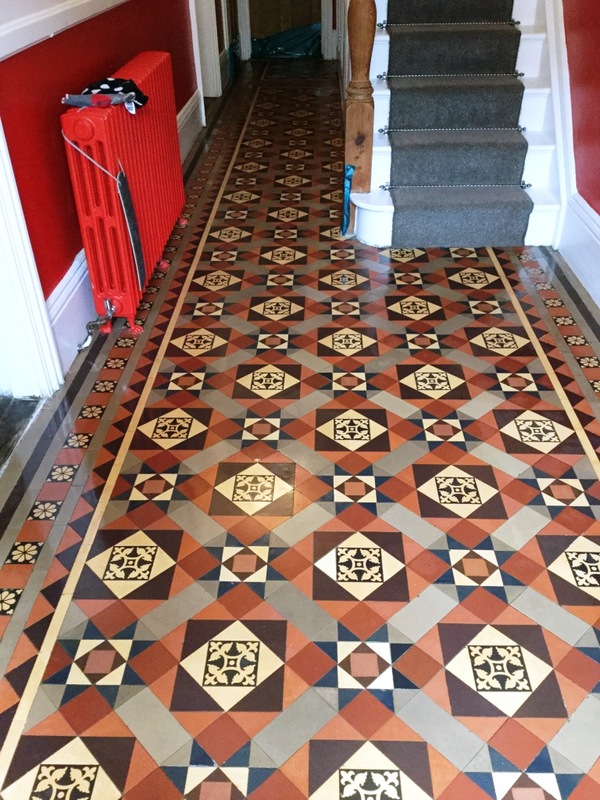 Three coats of Tile Doctor Colour Grow left the tiles looking rich and vibrant. 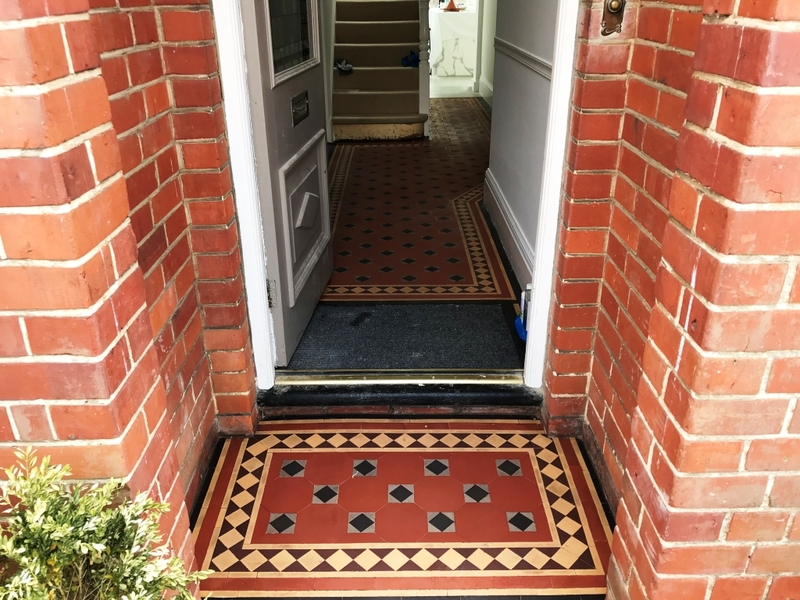 Both the porch and the hallway now look inviting. 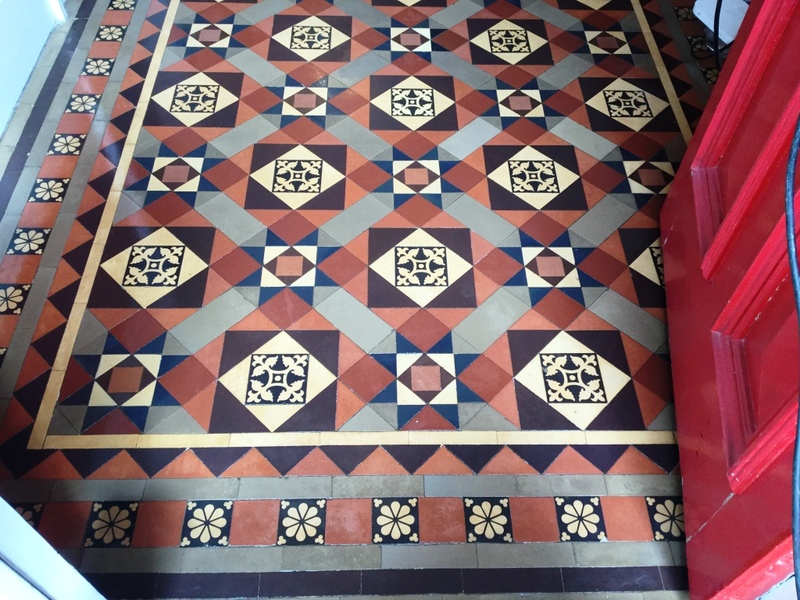 Overall the customer was over the moon with the final result and was glad she decided to have it restored rather than replaced.